When Jeremy Corbyn spoke those words in September 2015, he was looking out over a changed party. For one, hundreds of thousands of people had joined Labour, rescuing it from financial and ideological straits. Indeed, by way of contrast, when Gordon Brown took over in 2007, our membership stood at its lowest ever with just 180,000 compared to the over 500,000 we have today. But more importantly, he was looking out over a party where members and the left of the trade union movement had reclaimed it from the neoliberalism and foreign wars of New Labour. In order to do so, however, they had to sneak past a nomination process designed to give just one section of the party – the PLP – a veto. And he then had to energise and inspire hundreds of thousands of people on the basis that politics did matter, that ordinary people could have power and influence in the political process and that they could make meaningful democratic changes. Fast-forward two years. Labour, under Jeremy Corbyn, has led us to our highest share of the vote since 2001 and our largest increase in vote share since 1945. From Canterbury to Kensington, we have gained seats we haven’t won in our history and we have denied Theresa May a majority. We have done this through an engaged mass-membership party and a bold left policy platform. A democracy review, headed up by Katy Clark, is announced to get rid of the alienating, undemocratic party structures brought in under Neil Kinnock and Tony Blair. To finally consummate a Labour Party for the many, not the few. An appealing vision. But one that under the short-notice proposals being tabled by the NEC for this year’s party conference in Liverpool might be wasted and let down – whether it’s in maintaining a closed selection system that benefits a parliamentary elite or curtailing the right of party members to have a broad choice on who leads them. It’s worth paying tribute to the thousands of activists and members who participated in the democracy review in good faith. Previous reviews, ranging from Kinnock’s 1988 Policy Review to Ed Miliband’s ‘Refounding Labour’, had widely been seen as working to predetermined outcomes set by the leadership. This time, there was a grassroots perception that it would be different and proposals would be considered on their merits, rather on which group of insiders they’d benefit. Whether it was disabled Labour activists pushing for a truly inclusive and welcoming party, or the thousands of BAME members in Labour who spent huge amounts of time and effort thinking about what a functional BAME Labour would look like, the grassroots placed trust in this process to deliver democratic and accessible party structures. It is a trust that has been totally undermined. It’s worth going through how much of a let-down the NEC’s proposed changes are. Local government, where Labour in power can make real changes, for better or (as the case of social cleansing in Haringey shows) for worse, has been pushed back a year, despite already having been under discussion for a year. The undemocratic warren of the socialist societies – the elections for some of which would embarrass the Daleys in Chicago – is untouched. The self-organisation demanded by disabled and BAME sections have been curtailed by a cumbersome electoral college for their representatives, which takes power and autonomy out of their hands. A number of sensible and uncontroversial proposals regarding Young Labour, now 110,000 strong, were remitted back for yet another review. Perhaps most significantly for internal party democracy, both the requirement for CLP rule changes to sit on the table for a year after being passed locally (what is sometimes known as the ‘1968 Convention’) and the requirement that rule changes not change things discussed at the previous three conferences were disappointingly preserved. The National Policy Forum, the zombie child of high Blairism, is also left in place. By demoralising activists and members, abusing the trust of those who placed changes on hold at last year’s conference and preserving the power of insider groups over policy and procedure, the NEC’s tinkering makes it that bit more difficult for Labour to win the next general election. The next coming days will determine whether we’ll be effective when we get into government and whether socialist leadership of the party can be preserved. Let’s briefly look at a historical parallel. In 1970, Labour left office and moved to the left. The manifestos we were elected on in 1974 were arguably our most left-wing ever. However, the divine right of parliamentarians was preserved, and the political composition of the PLP remained unchanged. In office, Labour, under pressure of the PLP, moved sharply to the right, attacked the living standards of its working-class and trade unionist base, and beckoned in 18 years of Thatcherism. Mandatory reselection passed in 1980, off the back of soft left activists and trade unions appreciating the need to have accountable MPs committed or at least supportive of party policy. By striking parallel too, despite the complete dominance of the left across grassroots structures, Tony Benn was defeated on the basis of an electoral college that prioritised the rights of MPs over members. This history cements how far we’ve come, and how vital Saturday’s NEC meeting will be as the ruling body votes on open selections and the leadership nomination threshold. For the left, this opportunity to democratise the party has been half a century in the making. The need for grassroots members and trade unionists to make themselves heard in the next few days will be crucial in making party reform no longer a fantasy, but a reality. We should lobby all of our current NEC reps in every way, whether individually, through our trade union branches or through our local parties. Trade unionists must make their voices heard, lobby their representatives and use their local structures to apply pressure. Time and again at Tuesday’s NEC, Jeremy and the left were defeated on reasonable democratic proposals because some of those who should be committed to supporting him and a socialist Labour Party voted against him, and in some cases their own organisation’s policy. It simply isn’t good enough for a government in waiting. 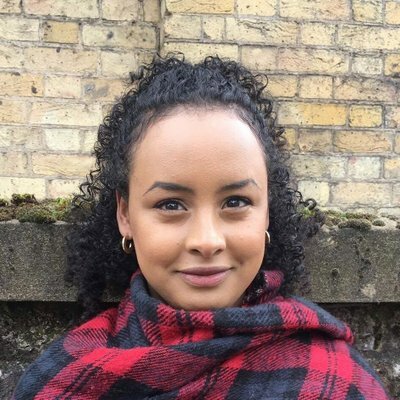 Huda Elmi is a newly elected NEC member who will take her place after conference.